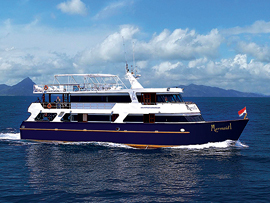 The Mermaid 1 and Mermaid 2 liveaboards are top quality steel hull boats, operating in Asia for over 10 years. These are two of the very best boats in the area. 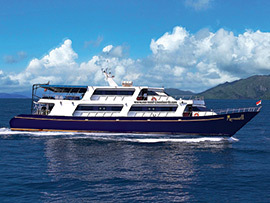 The 2 sister ships operate year-round trips in Komodo and Raja Ampat. There's a special offer been announced for all available spaces on Komodo trips in June and July, with a 20% discount in June and 10% off in July.